This month, we’ve been raving about Sauce Shop’s Sriracha Hot Sauce. Perhaps we’ve got a bit of a thing about garlic lately but we’ve been putting this stuff on everything. It’s no wonder they are a Great Taste award winner. 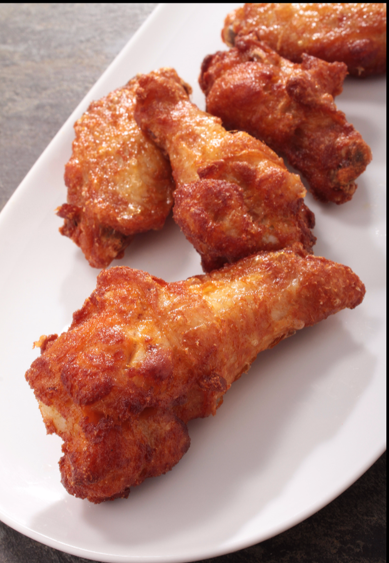 Check out their Dirty Fried Chicken recipe for some hot & dirty grub. – Toss together chicken pieces, sriracha and buttermilk until chicken is coated. Refrigerate for 6 hours. – Remove chicken from the buttermilk and dredge each piece in the flour. – Shake off any excess and transfer to a plate. – Heat oil in a large pan 175 degrees C. Add all the chicken to the pan and cook for 10 minutes. – Turn chicken pieces and cook for another 10 minutes. – Remove chicken from the oil and transfer to a cooling rack set over a paper towel lined baking sheet. Let sit for 5 minutes before serving with extra sriracha!